As far as teaser videos go, this one is fairly chock-full of information. 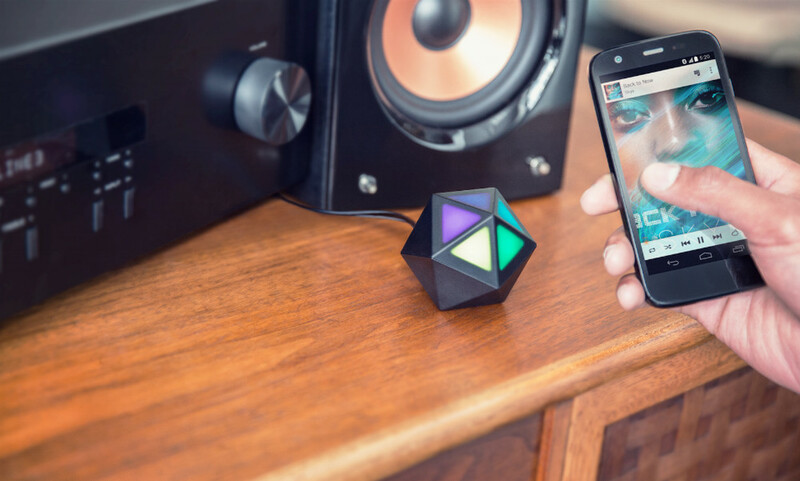 Judging by the video release this morning through Motorola’s official YouTube channel, the company is set to launch Moto Stream, a tiny pentagonal prism that connects to your stereo and plays music via Bluetooth. If the device evokes images of the ill-fated Nexus Q, that is because it is similar in some ways – up to five devices can connect to it at a time and que music, and it plugs into speakers via what looks like a 3.5mm jack. It is even replete with multicolored LEDs, so someone at Motorola must have really admired the Q team’s work. Or they thought they could make the concept successful by simplifying connectivity with Bluetooth and wire. Either way, I can’t deny the thing looks awesome. We know what the device can do, but far less about availability. Personally, I’m hoping this thing is the Chromecast of music streaming, but we should find out soon enough. Update: That was fast. Motorola has officially unveiled Moto Stream, and it’s even more like the Nexus Q than I thought – it has NFC pairing! Beyond that technical tidbit, Motorola elaborated on the pairing capabilities of the device. It is interoperable with smartphones, tablets, and computers, and has an impressive range of up to 300 feet. Just like the video showed, multiple devices can connect to Moto Stream at once, and people can “heist” – AKA, change the music – at any time. Moto Stream will retail for $50 at Motorola.com today, and in stores at Radio Shack starting June 6. In the box, you get a 3.5mm to RCA connector.